A New Leaf: This Book Room: only 2 books!! This Book Room: only 2 books!! 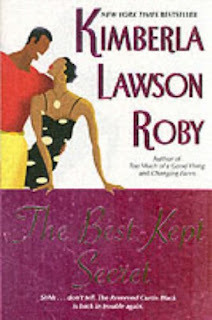 At the request of her readers, Kim Roby is giving another airing to one of her most popular characters, Curtis Black, who was introduced in Casting the First Stone and who continued his escapades in Too Much of a Good Thing. Kim Roby's readers can't get enough of the Reverend Curtis Black, that self–justifying, greedy, womanizing flimflam man who is one of the biggest rascals ever to step into a church. In this outing, Curtis is starting over. He has a new job and a new wife, and of course he's convinced himself that this time he'll be good. But Curtis hasn't ever made a promise he could keep, and before long, he's up to his old tricks. The difference now is his third wife. She's unlike any woman Curtis has met before. And for the first time in his life, Curtis just might have met his match. Watch the sparks fly! Additional notes: This is the third book in the Reverend Curtis Black series. You can read my view of the second book here. This series is ongoing. My thoughts: I really enjoy this series, but the people in these books are craaaazy! The writing is a little bland, at times, but the characters really draw the reader in. I would recommend reading the first book, then seeing if you like it. This series should be read in order. 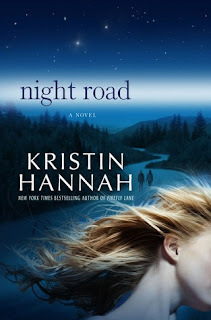 My thoughts: I don't like all of Kristin's books - Firefly Lane is still my favorite (although this wasn't the first book I read by her), but this book is my second favorite. I didn't love all the characters in this book, but I think that was kind of the point. The story arc was great, and even though I didn't love the characters, like I said before, I identified with them all. Two thumbs up for this book! The Gaming Corner: Scrabble Slam!